I grew up as quite a voracious reader, but have since fallen rather behind in my reading list. There are so many authors and books that I haven’t gotten to. That’s not to say that I don’t hoard titles from the discount bookstore. I am constantly picking things up, adding them to my ever-growing “To Read” pile. In honor of the A-to-Z Challenge, I decided to read one of these books: John Scalzi’s Hugo Award-nominated, military sci-fi, debut novel. O is for Old Man’s War. At least… It should’ve been. That’s the post that I had scheduled for today. But as things stand, I… I actually haven’t finished the book yet. Which would’ve been fine if I hadn’t mentioned it before. I don’t have a theme for this year’s A-to-Z Challenge, so I could’ve easily switched to another topic without anyone noticing. I was so sure that I could start and finish a book amidst all this blog writing. O is for overly optimistic. Or perhaps, O is for overzealous. I was so excited, you guys. 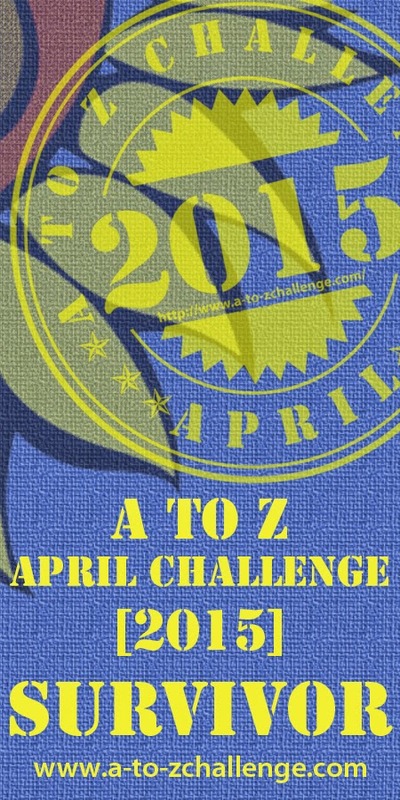 Excited to participate in the A-to-Z Challenge and dive head first into blogging. But you know what? Blogging every day is hard. That’s not to say that I have found the Challenge onerous; no, no. It has been super fun thus far! But other things came up in the last few days and ate up the time I should have spent finishing Old Man’s War. This past Saturday was International Tabletop Day!! I hope you geeks and gamers had a fun time. I was able to get together with a few folks on Saturday evening. Most of them are fairly new to the board game scene, so we stuck with several familiar games such as Fluxx, Sequence, and Balderdash. I was, however, able to teach them how to play Escape: Curse of the Temple, which they really enjoyed. On the whole, it was a night of light games, but heavy on laughter and fun. Marvel’s Daredevil! The hype is real, you guys. Netflix’s entrée into the Marvel Cinematic Universe is fantastic. The pacing is great, there are wonderful performances by the actors, and the cinematography/direction is superb. A word of caution to those who have not yet watched, however — Daredevil is extremely dark and violent. I’m ordinarily not too bothered by that stuff, but, wow, there are some really intense moments! And those, dear reader, are the reasons why you are not currently reading a review of John Scalzi’s Old Man’s War. After the A-to-Z Challenge is over and things have calmed down a bit, I will definitely post my thoughts on the book. But right now, I guess I’m just sorry for this missed opportunity. Overly optimistic? I identify. LOL. Also, I’ll mention that doing an A to Z Reflection post is a thing, and a good place to start after April – and a good place to lay down what you’re thinking for a schedule moving forward! The reflection posts are definitely a thing, and it even looks like there will be an official place to share links to it on the A to Z website? Looks like there was last year. It’s good to debrief, take a breath, and remember to slow back down after doing this! My wife and I were very firm on wanting to pick a realistic schedule, and sticking to it. We started at 6 posts a week, with a day off. When life got a little busier this last fall, we dropped that to 5 a week, with Friday being a shorter “fun” post. But that’s a schedule of two people blogging – but we’ve kept it going! A lot of blogs do pretty well posting only a couple of times a week, and you see features where people are doing the same thing on the same day every week – photos or top ten lists or all sorts of things. But setting a realistic goal, then following it, is the good way for a blog to progress 🙂 Blog-followers tend to be following many blogs, but they can know when/what to expect when checking back with you!